Hardly anyone I know ever moves, so who would have guessed I would need two housewarming cards within a short time of each other? 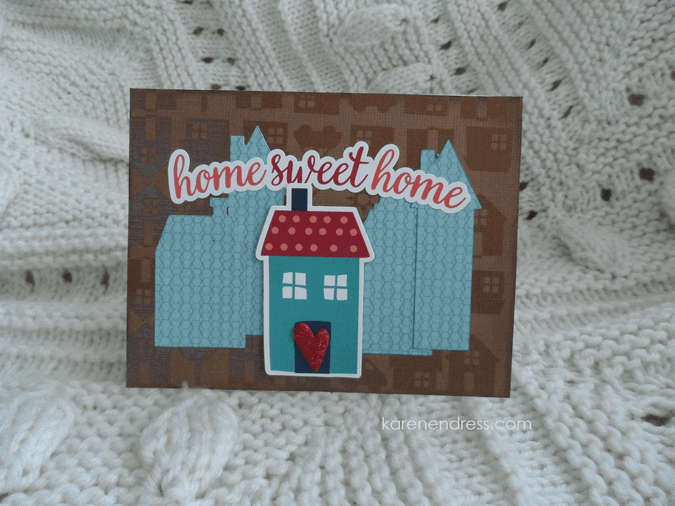 So…I dug around till I found some brown cardstock embossed with cute little houses that I knew I had somewhere. This is why it’s a good practice to go through your stash from time to time. It reminds you what you already have and, theoretically at least 😉 keeps you from buying duplicates. The first card was for a very special niece 🙂 I covered the whole cardbase (Neenah Solar White 80 lb.) 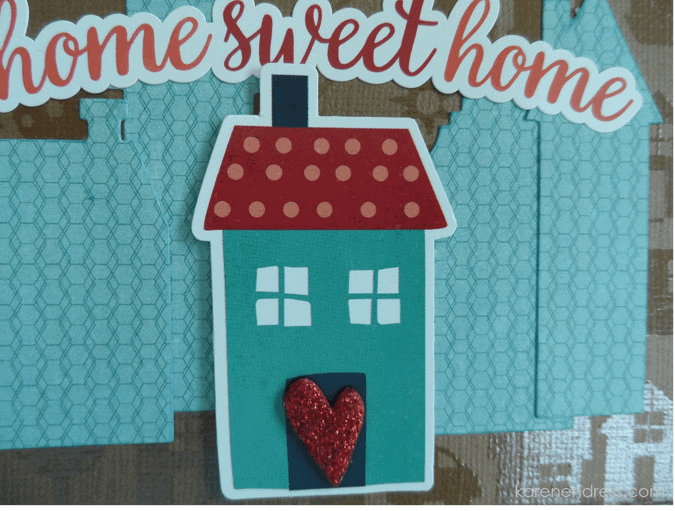 with the brown paper, then die cut & layered the four houses. Slap on a sentiment sticker, pop up a house sticker on Scotch foam tape, add a self-adhesive glitter craft foam heart & wow—a card that didn’t take me two hours to make!! The cardstock stickers are from the Lori Whitlock “The Story of Our Family” collection by Echo Park. (I only bought the sticker sheet, not the whole collection but now sort of wish I had!) The heart was in one of the many “bits & pieces dishes” on my desk from a previous project so I don’t remember which die I used. 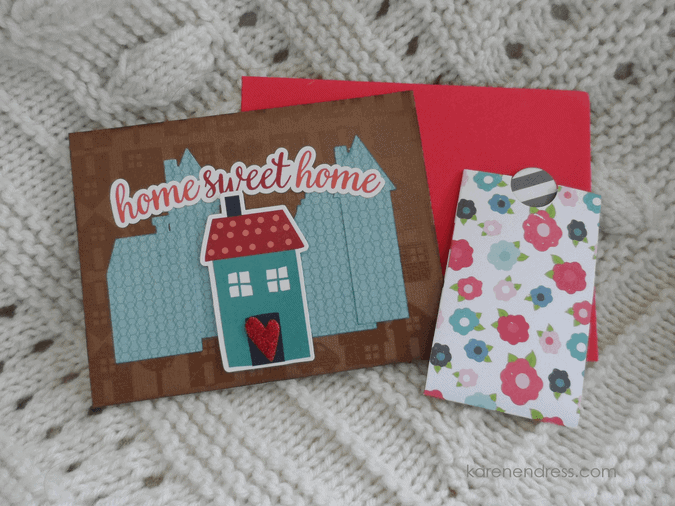 Sadly, these stash items are no longer available—the house dies from Stampin’ Up’s Homemade Holiday set and the teal paper from the Kelly Purkey Second City 6×6 pad by Basic Grey. I did use current product to ink around the edges of the brown and patterned papers—Memento Luxe ink in Teal Zeal and Ranger Archival ink in Potting Soil. Both of these links have videos explaining the qualities of the ink so you can compare the differences if you like.